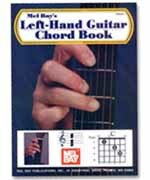 Contains chord forms for all of the most commonly used chords. Chords include major, minor, altered 7ths, diminished, augmented and many more. All forms are shown in picture and diagram form for the left-handed guitarist. Learn the style, fanciness, smoothness, comfort, finess, power, dynamics & subtle details that will make you sound slick! Tony Rice once said that 'PLAYING RHYTHM IS AS CHALLENGING AS PLAYING LEAD' REFINE YOUR BLUEGRASS RHYTHM PLAYING SKILLS! Three hours of wisdom and experience from one of bluegrass guitar's most celebrated practitioners - plus 7 great flatpicking tunes - in this 2-DVD set from AcuTab Video. Inlcudes 45 minutes on bluegrass rhythm alone, with tab booklet. Many pickers have described working with this dual disk set as being like having several private lessons with Kenny. Watch Chris as he analyzes and teaches 5 example songs, breaking each down into its component parts, explaining why he chose what he played every step of the way. By learning this approach you will be able to invent your own intelligent, melodic solo for each song you encounter!